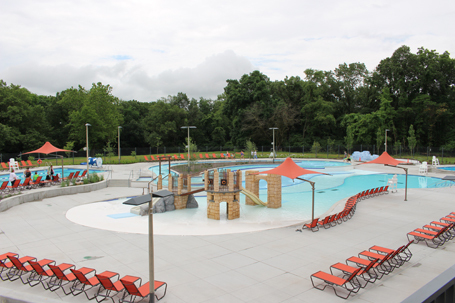 St.Louis County Parks’ new recreation center, located in the historical Jefferson Barracks Park, opened in June 2015. 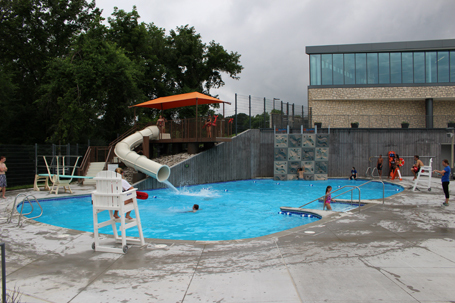 The Pavilion at Lemay includes a new outdoor aquatic center that features a lap pool, lazy river, cascading terraces with sprays, a plunge pool and a play structure for toddlers. The Pavilion at Lemay also houses a 42,000 sq. ft. multi-purpose athletic center with fitness equipment, a walking track, weights, and space for fitness classes. 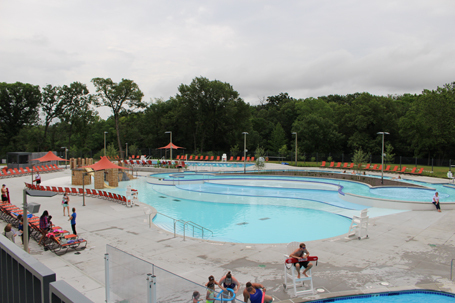 Residents helped choose the amenities and the design through a two-year planning process that included residents’ surveys and town hall meetings. The project was funded by Pinnacle Entertainment and bonded funds from the Port Authority. The facility was originally to be built on the north edge of Jefferson Barracks Park but was moved to the Grant’s Shelter site due to geotechnical issues.